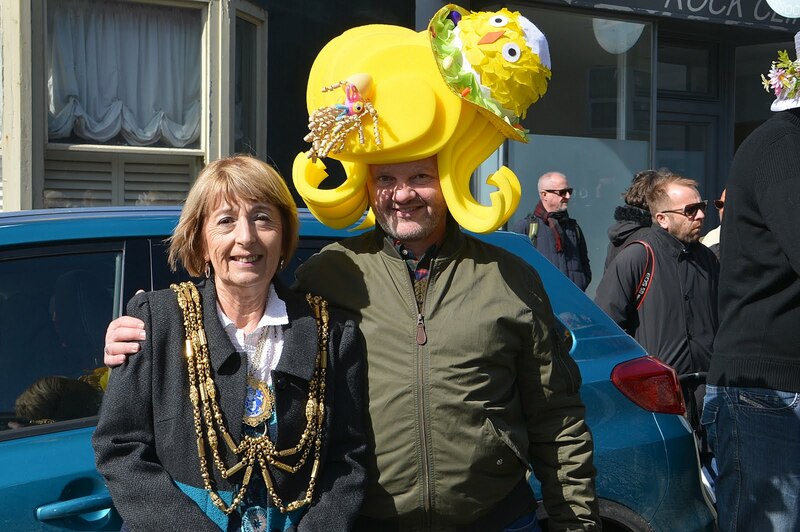 Dodging the showers on Easter Sunday, the Mayor of Brighton and Hove, Councillor Lynda Hyde judged the annual Easter Bonnet Competition at the Bedford Tavern. There was a terrific show from competitors of all ages sporting some outstanding designs, which made the choice of best hat very difficult for the Mayor. She is pictured here with the worthy winner who was presented with a bottle of champagne.